Dealing with insurance companies after car accidents can be tricky. Here are some helpful tips for dealing with insurance companies after car accidents. Insurance companies that claim to protect them will not necessarily be on their side after an accident when it’s time to file a claim. Insurers are generally out to preserve their own profits and may even do so at the expense or welfare of their own policyholders. 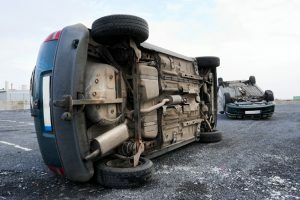 The way that people end up dealing with insurance companies after car accidents can impact their claim and whether they are able to obtain payouts from it. In this three-part blog series, we will point out some of the most important things to keep in mind when it comes to dealing with insurance companies after car accidents. If you have been hurt in any type of traffic accident and need help with your financial recovery, don’t hesitate to contact trusted Colorado Springs Car Accident Attorney Kenneth Shakeshaft. He has the experience and skills necessary to effectively stand up to insurers, aggressively advocate injured people’s rights and ultimately help them secure the compensation they deserve. Tip 1 – Contact your insurer as soon as possible to report the collision. In the immediate aftermath of traffic accidents, contacting police and getting help for the injured people – which may include yourself – will usually be of the utmost importance. However, once these immediate concerns have been dealt with, contacting your insurance company to report the collision will be crucial. Some auto insurance policies have very strict provisions regarding how soon policyholders have to inform insurers about traffic accidents. Waiting too long to report traffic accidents to insurance companies can create more challenges for policyholders in getting the compensation they deserve (and it could even lead to this compensation being undercut or, in the worst cases, denied). Tip 2 – Be prepared to discuss the specifics of the accident. Whether you received medical treatment within 48 hours of the collision. For some more important tips regarding dealing with insurance companies after car accidents, look for the second and third installments of this blog series that will be published soon. Have you or a loved one been hurt in a car accident or any type of traffic accident? If so, Colorado Springs Car Accident Attorney Kenneth Shakeshaft is ready to help you recover financially so you can put your life back together. To find out more about how Kenneth Shakeshaft can help you, schedule a free initial consultation with him by calling (719) 635-5886 or (800) 383-5886. You can also email our firm using the contact form on this page. We don’t get paid unless or until you get paid, so you have nothing to lose and everything to gain by contacting us today.